The Google App Play Store is a prime place for Android phone users to download apps and games. Here all games with different genres can be found easily. You can download and install it on your Android smartphone. If it's bored or the game is less interesting, you can delete it anytime. In addition to Android games with RPG genre, fighting, racing or sports, on the Google App Play Store you can also find some unique and weird games. Well, what kind of game is that ?. Here is a list of 5 unique and weird games that you can find and download through the Google Play Store. 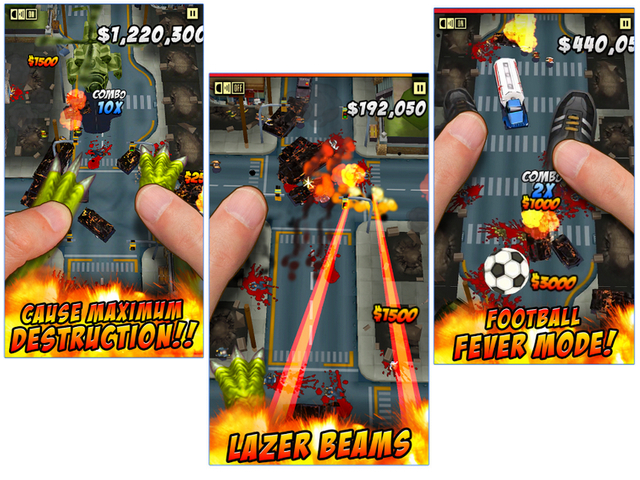 Your thumb will turn into the leg of a gigantic creature like Godzilla in this game. You can walk, stomp, and kick a variety of objects encountered by utilizing your thumb. Not only that, sometimes there are special items that can turn your thumb into ballet shoes or soccer shoes. That way, you can cause additional damage in the city. Android Game Thumbzilla Video Trailer. Download Weird Android Game Thumbzilla here. 2. Hopeless: The Dark Cave. 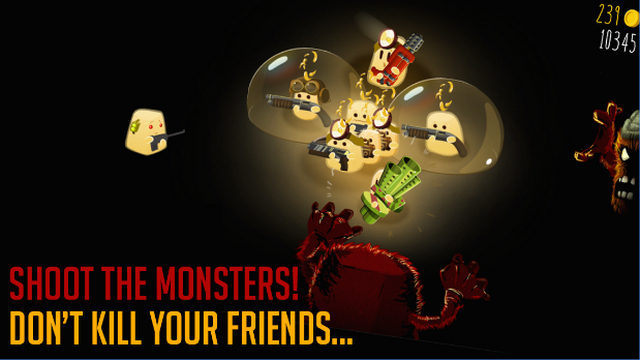 This game is frightening as well as funny because you play a small clot armed with a gun to fight monsters. You must be prepared because the monster will emerge from the darkness and attack from a random angle. Android Game Hopeless: The Dark Cave Video Trailer. Download Weird Android Game Hopeless: The Dark Cave here. Download Weird Android Game Hopeless 2: Cave Escape here. Download Weird Android Game Hopeless 3: Dark Hollow Earth here. 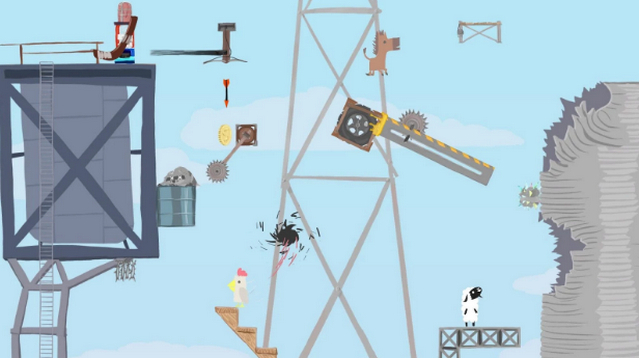 Ultimate Chicken Horse is an optimized game for Nvidia Shield Tablet and Shield Android TV. In this game, you will be dealing with other players to arrive first to the point of destination. But not just racing, each player must put a variety of traps to prevent the opponent arrives first at the end point. This style of play that makes Ultimate Chicken Horse different from other multiplayer games. Android Game Ultimate Chicken Horse Video Trailer. Download Weird Android Game Ultimate Chicken Horse here. The story in this game is fairly simple. You just need to save some beauty contest participants kidnapped by a villain named Milkman. But the difference is the character you play, ie beekeepers, doctors, and young people who are equipped with catapults. Not only hit, kick, jump or wrestle, each character also has a special movement. The enemy you face is also no less strange, like street thugs. Android Game Fist Puncher Video Trailer. 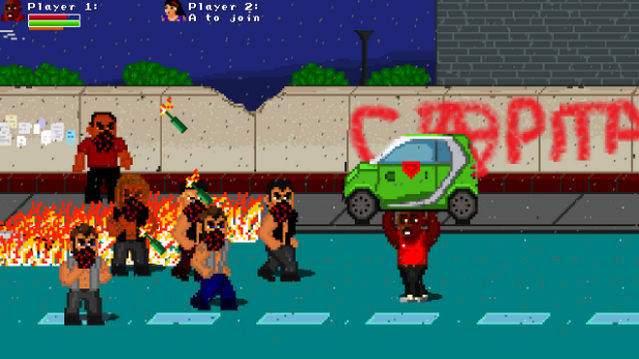 Download Weird Android Game Fist Puncher here. 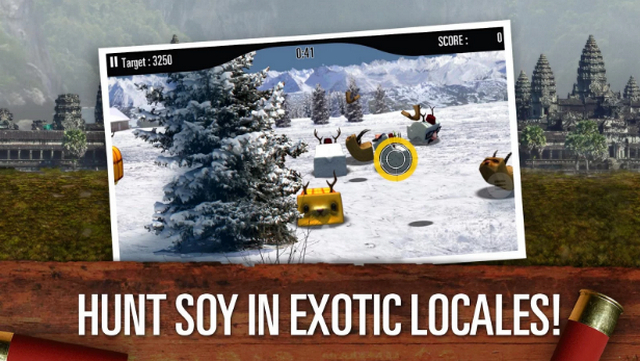 As the name implies, you must hunt tofu that acts like an animal in order to win the game. Although it looks easy, target goals can sometimes act out of the forecast. But with more money being collected, you can buy better weapons for hunting. With that concept, making Tofu Hunter into the list of weird games you need to try to play. Android Game Tofu Hunter Video Trailer. Download Weird Android Game Tofu Hunter here. In addition to the above 5 Android games, there are still some unique and weird Android games that you deserve to try such as Hungry Shark World and Android Game Plumber Crack. 0 Response to " 5 Most Unique and Weird Android Games on the Google App Play Store"